A view of the compact and absolute wireless electronic – riaa modul from SUNILDA. There is no hum, bee or any noise – only music. The design on a double side pc board is constructed in double mono technology, use best and selected components and guarantee high stable and highend vinyl re – productions. Sundila is a three stage phono-preamplifier, based on 6922 (ECC88) and 12AX7 (ECC83) frame grid tubes, suitable for two MM- and MC-cartridges at the same time. 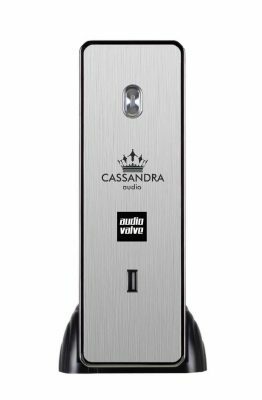 Independently for the two phono inputs, impedance and capacitive load can be set separately and ‚on-the -fly‘ while listening. Thus the user can easily configure the unit to match the features of the cartridge by selecting the optimal input resistance and capacitance for each input separately! One of audio’s best-kept secrets is the AudioValve Eklipse pre-amp. All-valve, remote controlled, built to standards that you’d expect of Germans and – above all – a true bargain at £2100, it lacks only one thing: a phono section. OK, so it’s toe-curlingly ugly with its black-and-gold, steam-punk-Jules-Verne-reject styling, but the sound is so good and the price so low that you can overlook the aesthetics. (Please, Herr Becker, hire an industrial designer!!!!) For those of you with a taste by-pass, the good news is that the Sunilda phono stage is built into the same chassis. 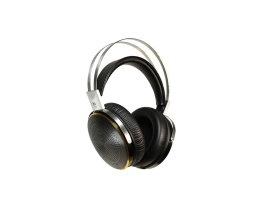 Mr. Becker – the designer – had the desire to increase the musical and technical features with some realy interesting improvements almost into perfection. First of all the 2 cupper sides – bottom and top – the layer thickness increased to 0,1mm on each side . Thus, significantly reduces the resistance per unit area on the PC board and little “ power islands “ on the main PC board can`t built up any more. 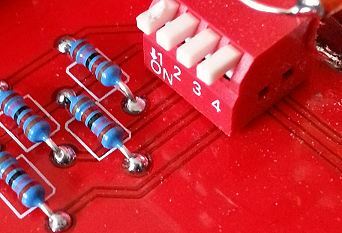 By the help of the “ MULI VIAS “ , which connects the top side with the bottom side , we doubled the thickness of the cupper again, almost as if the PC board would have been built out of one complete piece of cupper. We are sure, that in the near future also our “ NEW“ Sunilda will find its place in the TP Class of High End. Input stage with 6922 triode – double layer pcb technology and 70 um copper. Both sides its pcb guaranty the best result to shield provide all kinds of electric and magnetic interference. Helmut Becker likes wireless assembly, so the guts of the Sunilda rest on a double-sided PC board, laid out in a dual-mono topology, all beautifully assembled. Becker doesn’t compromise on the components, and he indulges in hand-selection, so the see-through lid is no conceit: you’ll enjoy gazing at its innards. For hours. 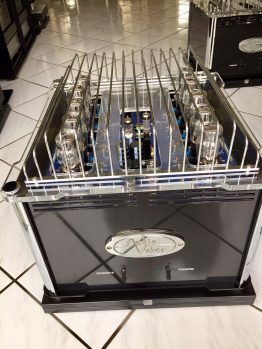 He describes the Sunilda as a ‚three-stage phono-preamplifier, based on 6922 or ECC88 and 12AX7 or ECC83 frame grid tubes.‘ The Sunilda – named after the daughter of Siegfried and Brunhilde, so Valkyries can wallow in this one – accommodates both moving magnet and moving-coil cartridges. What inveterate fiddlers will love is that the Sunilda is two complete phono stages in one, with BOTH sets of inputs enjoying the full complement of settings, unlike some that offer either m-m or m-c for one or the other inputs. Where this might prove handy is for A/B’ing arms or turntables when you would need to use the same cartridges in both. And if you had two identical turntable/arm set-ups, you could use it to compare cartridges, including two of the same make and model. (Ask Decca-fiends about sample-to-sample variation…) And if you have two identical turntable/arm/cartridges, well, how about A/B’ing different LP pressings. Like 180g vs 200g or reissue vs original? 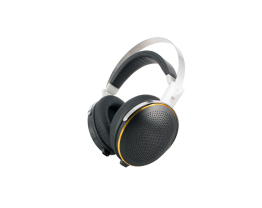 Thus, you have, independently for the two inputs, adjustable impedance and capacitive load, which you can do ‚on-the-fly‘ while listening. Across the front, you have four rotaries and four toggle switches. The rotaries, two per input, set capacitance of 0, 100, 220 or 470pf and impedance of 47, 100, 220, 470, 1k and 47k ohms. Note that in moving magnet mode, the gain is 20dB lower than in m-c mode, at a fixed input-impedance of 47k.This means that users who like their m-cs at 47k ohms can employ that value with some added gain. Koetsu users: rejoice! What was common at all stages was a consistency that shows Becker favoured neither mm nor m-c: the Sunilda treats both equally. Where it shines is in its ability to let the user extract the most from either. I know, there are phono stages that provide even more settings, but AudioValve struck a nice balance. The only thing I would have added were oddball impedances for mm so I could tweak the Deccas, but then I’ve only ever found these on Tim De Paravicini’s magnificent solid-state EAR 324. What made me fall in love with the Sunilda were big band mono LPs, which possess a sheen and shimmer that exists nowhere else. Trust me: Billy May LPs have to be heard in true mono. With both the Decca Maroon and the Lyra Dorian, I was able to summon up room-filling, ear-caressing sounds that can only be described as ’silky‘. I hope that analogue’s leading warriors, Michaels Hobson and Fremer in the USA, get hold of Sunildas, because Sunilda will prove to be a positively Wagnerian ally. If you have any doubts about the worth of vinyl in 2005, this phono stage will help dispel them. As you can imagine, competition in this sector is tough: really, really tough. I recently bought the Audio Research PH5, and – love it though I truly do – I have to admit that it’s shy of adjustability, and lacks the facility for a second turntable; this makes it a pain in the arse if you like to fiddle about with cartridges and decks. Conversely, it’s THE choice if you <DON’Tfiddle around. EAR’s phono offerings are always magical, from the least expensive to the sublimely dear; Quad’s new valve phono amp is even more of a bargain than the Sunilda; Sutherland’s Phd is the quietest phono stage I’ve ever heard (to be reviewed soon!). As any show-goer will tell you, there are countless other superb phono amps to consider as well. 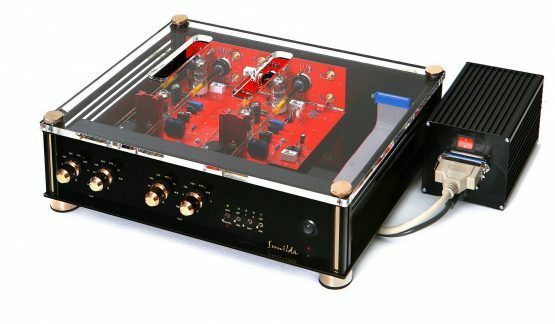 Sunilda, however, is something genuinely special: it combines the best balance of all of the above phono amps‘ virtues, sonically and practically, then doubles them up and sells them to you for a sane price. 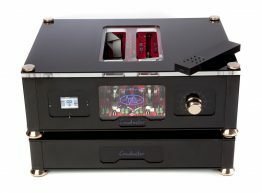 AudioValve Sunilda phonopreamplifierThe AudioValve Sunilda ($4995), atubed phono preamp from Germany,offers a lot of setup convenienceand flexibility, all controlled from itsfront panel. 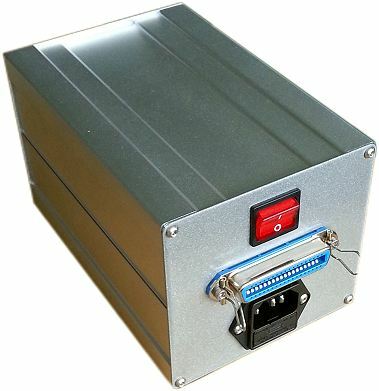 There are twoindependently configurable single –ended inputs selectable for MM orMC and adjustable for resistive (47,100, 220, 470, 1k, and 47k ohms)and five choices of capacitiveloading.The outboard transformer for thesolid-state power supply connects tothe main chassis via a computer-type ribbon cable and multipinconnector. The dual-mono circuituses pairs of 6922 and 12AX7 tubesin a threestage configuration, withpassive RIAA equalization splitbetween the first and second stages.Interestingly, while the manualspecifies 20dB of gain with the MCstage switched in, total gain is notspecified. The specifications page ofthe manual lists MM and MC gain“@1kHz” but neglects to givenumbers, though it says elsewherethat the MC stage adds 20dB, so it’sa good bet the total gain is 55 or60dB.The Sunilda’s claimed RIAA accuracyis ±0.25dB, with noise 76dB belowsignal in MC mode, which is fairlytypical for tubed phono preamps.High-quality parts are usedthroughout, and the signal paths arekept short, all but eliminating anypoint-to-point wiring. 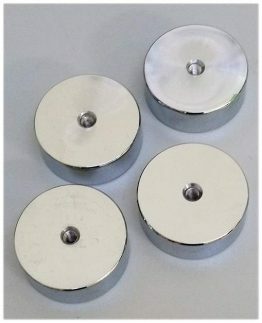 Whiletherotary knobs for loading andcapacitance have a rubbery feel dueto the long acrylic shafts thatconnect them to the switchesmounted on the rear board, that’s aworthwhile sacrifice in the interest offrontpanel convenience and shortsignal paths. 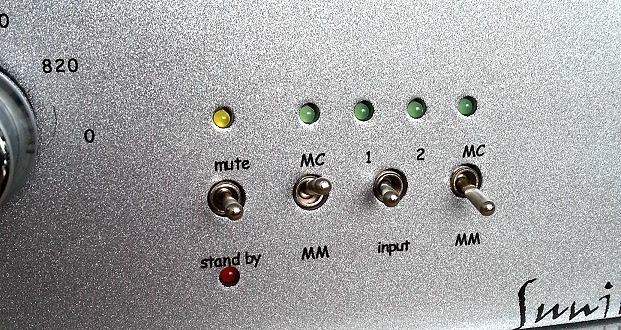 Use is straightforwardand easy, but be sure to select Mutebefore changing inputs, oryou’llhear a loudpop. Otherwise, theSunilda was glitch-free during thereview period.Sound:The AudioValve Sunilda wasquiet, even with relatively lowoutputMCs, and produced a sonicpanorama with a rich, lush midbandthat definitely let me know thattubes were involved. But thanks to awellcontrolled bottom end andpleasing high-frequency extension,the sound never sank into the overlytubey mire.Though the Sunilda’s bass extensionwas only moderately deep (yoursystem would need to plumb the20Hz depths for you to hear whatwas missing), bass control was verygood—a combination preferable tomore extension and less control.While the better solid-state phonopreamps will deliver more extensionand more muscular control, tubefans will revel in the Sunilda’spalpable bass textures. Drum skinsand plucked bass strings had asupple elasticity that solid – statephono preamps tend to gloss over,just as the Sunilda tended tosomewhat soften the visceral punchof the electric bass. Kick drums weremore about the skin reverberationand less about the transient attack,pianos were more about soundingboards and wood than abouthammer strokes, and so on.When this balance goes overboard inone direction or the other, I heareither skeletal “runway model”sound, or the overstuffed kind thatsounds the way Midwesterners at astate fair look. The best solid-statedesigns avoid the former, while thebetter tube designs avoid the latter.And the Sunilda is a better tubedesign.Its pleasingly rich midrange and full-bodied harmonic palette can bedescribed as Dockers expansiverather than unpleasingly plump.Combine its midband generosity(which includes that special 12AX7golden glow) with clean, reasonablyfast, grain-free, topend extension,nimble yet warm midandlowermidbass, and reasonably decentbottomend extension, and you havea supremely listenable andenjoyable phono preamplifier.Could you get more muscularbottom-end extension? Yes. Greatermacrodynamic slam? Yes. Andprobably blacker blacks, too, whichusually leads to more low-levelmicroresolution, which you can alsoget elsewhere in solid-state designs.But there’s a particular magic to theall-tube experience, particularly inhow tubes resolve and three-dimensionalize certain instruments.I’m again playing Sundazed’s newreissue of Simon andGarfunkel’sBridge Over Troubled Water, and theSunilda’s rendering of “So Long,Frank Lloyd Wright” is truly special.The strings are feathery, theacoustic guitar a perfect blend ofstring and body, the flute juicy andairy, the bongos have lots of skin,and the whole picture floatsethereally in three-dimensionalspace with great deliccy.As with the Benz-Micro LP Scartridge, if you mostly listen tomodern electric rock, the Sunildamight not be for you—but well-recorded acoustic music of allgenres, as well as early rock andfolk, sounded vivid and convincinglyreal, tonally, texturally, and spatially.What the Sunilda might lack in thatlast bit of slam it more than madeup for in well-saturated harmoniccolors and three-dimensionality. Justdon’t use it with a cartridge that’salready on the warm side, or youmight end up with sound that’s tooslow and thick to get out of its ownway. I enjoyed many months oflistening with the Sunilda,particularly with the more analyticalLyra Titaniand Ortofon MC A90cartridges. If the sound I’vedescribed is your type of sound,you’ll love the Sunilda—and youcan’t beat the convenience of twoindependently configurable inputsand front-panel control of loading.The AudioValve Sunilda is one of themost enjoyably balanced tube-basedphono preamps I’ve heard. It mightnot be the last word in anyparticular performance parameter,but taken as a whole, it’s one ofthose components that can beinstalled and enjoyed for a very longtime without leaving you feeling youneed or want more of anything. In recent years I have heard a number of Audio Valve amplifier. Whether the former level, single-ended amplifier, or push-pull amplifier, the German Hi End plant products won my heart. 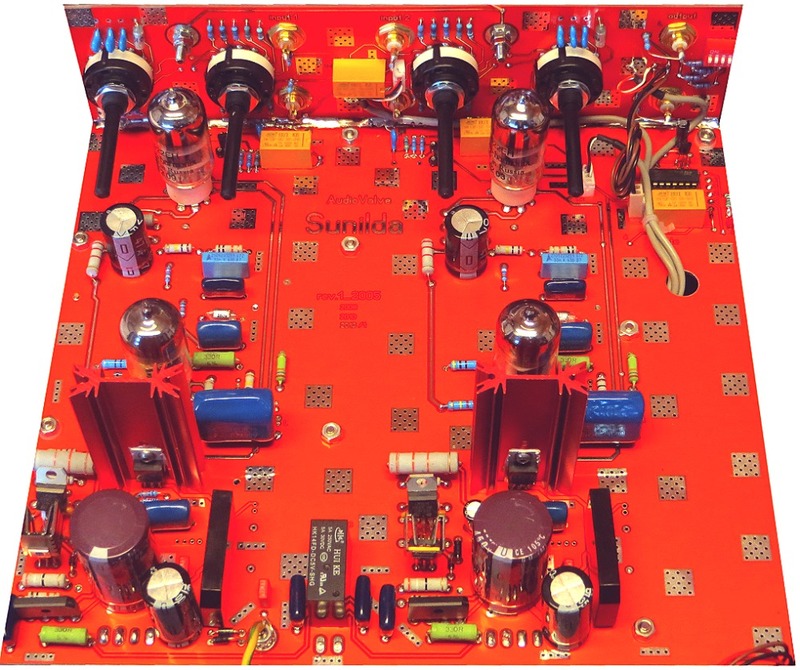 Called Sunilda singing of course, the whole vacuum tube head amplifier amplification, but also dual-mono design, two channels on the same piece of circuit board, using completely independent of the amplification circuit. For each channel using the one 6922,12 AX7, according to that the use of the three original amplification, while the RIAA curve compensation circuits were added to the first level and second-level amplification, the Audio Valve, according to a passive RIAA said it would split into two can be significantly reduced because the signal caused by the passive circuit losses. 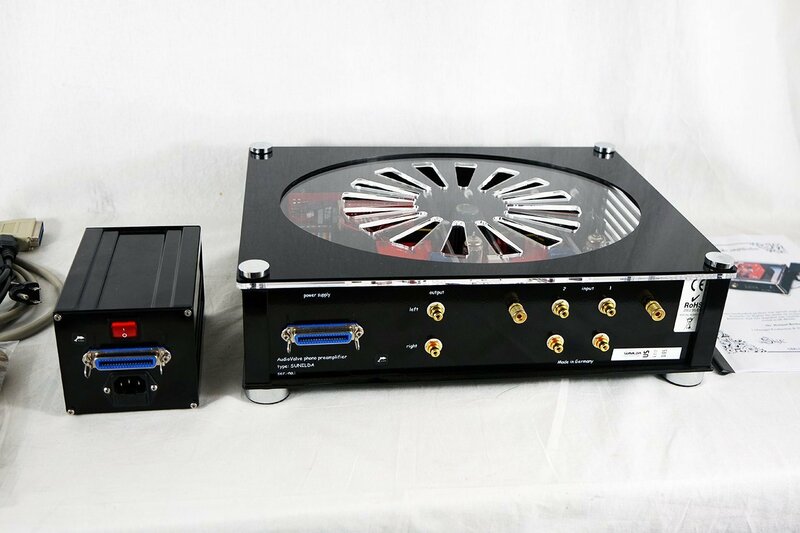 Sunilda provide MM amplification (40dB) and MC amplification (60dB) two kinds of gain, do not use negative feedback. It can take two to sing the first! Must be people who say: What’s next two Phono remarkable? Many sing the first amplifier will do. However, Sunilda two inputs can be independently adjusted for the gain, resistance, capacitance value, so you have both equal to two Phono Amplifier! Why it can do so, others do not? You just look through the transparent roof puts inside will know: it is not fancy installed two sets of two groups of resistance and capacitance. Production costs in order to look at this is not the economy (in Germany, handmade, how many more welding so many parts, labor costs may be even higher than the parts cost), but it is a very practical approach. 2 input to relay switch, it will not produce any interference. Who used this function right? For the audio commentators like „Doo-disk“ is very useful for audio fans. 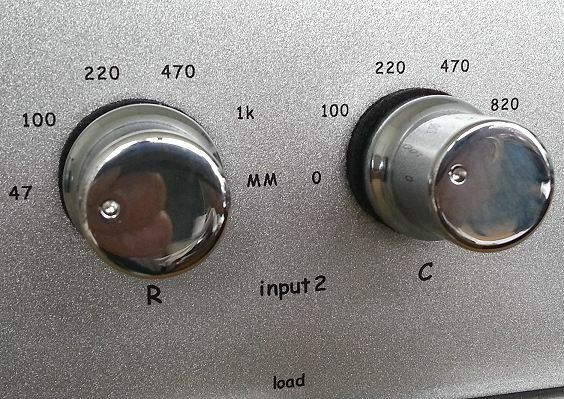 4 knobs for each of two groups, one used to adjust the impedance, the other is the capacitance; four lever switches were responsible for input, gain adjustment and mute, standby. Interface to operate it, Sunilda beautiful design is very reasonable, we can see Audio Valve boss Helmut Becker must be a logical concept-oriented person. Audio Valve has always been inside the machine to maintain a high completion level of resistance and capacitance of the connecting rod is used to adjust the machine back office to adjust the signal path is very short. Having said that power supply section also in order to eliminate interference, in particular, chassis design, the two computers using the old kind of printer cable connections. The power supply is not easily to a chassis trouble, but with a real aluminum metal outer case fitted up. Use of vacuum tubes, front-end of the ECC88 is the Tesla, NOS tubes, the output buffer stage of the 12AX7 is JV products. See Tesla, I would like to find fault with the tube for tube fans should have to give up the idea of a bar! 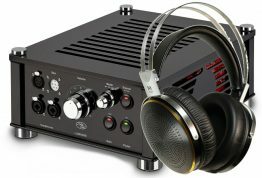 By the way, agents Code Audio Co., Ltd. Li stressed that Taiwan imported Audio Valve products are specifically requested to strengthen the German original power supply specifications and a variety of materials, are also gold-plated knobs, so the performance would have been better on the types of aircraft sold abroad, Some strong. 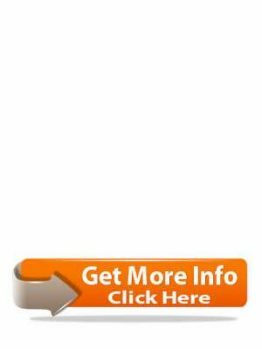 Of course, you should also prepare to spend a little more price. Machine a mute, I knew my fascination for the digital system was again an analog system to completely defeated. Why? Good Sibu Si, I have come to listen to vinyl records is the CD has been heard do not know how many times the „Cafe Blue“. I thought the music, all kinds of details have been gains a complete surprise, the analog system, sound, or like a new vista in general, always giving me a surprise! What surprises do? Than the details of the digital system to better performance, better than the digital system, live feeling better than the frequency of the digital system, at both ends of the performance of all I listened to a few minutes later, we can immediately feel the benefits. 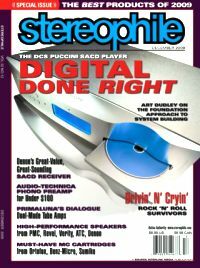 CD’s performance in the low frequency do not should be more prominent? To be honest, I have always think so, but in a few top-level analog hearing to listen to the experience of the source, I found: the low-frequency analog is indeed far better than the quality of digital. Of course, this has a premise that analog systems are very good. For example, this time using the analog system, if the amplifier can be considered to be the first to sing in, prices have more than any I have heard the CD discs at home, so there must also be a better sound performance is normal. From the Sunilda sent to the voice of not only more full, more low, the severity of the drum and the speed of response are also better than digital systems. This flexible and clear foot drum, it sounds really comfortable and extremely enjoyable. 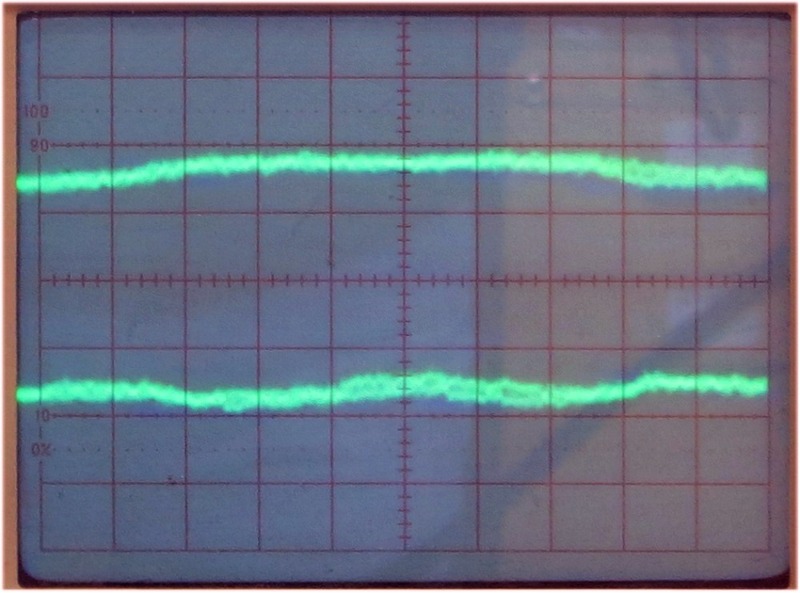 Analog system signal to noise ratio is far lower than the figures in the book Digital Systems (MC Phono amplified signal to noise ratio is usually only in the 70dB or so), reasonable to say that the sound should be a very fine digital systems prevail, but in listening to a sense of the simply not the case. No matter which track to listen to, I can immediately hear the CD (or SACD) is indeed a number of subtle changes „simplistic“ the. In other words, subtle changes in the dynamics of ups and downs, the analog system, a clear upper hand. To reproduce the music more complex and subtle changes in the entire sound field seems to have been cleared of mine, have a better sense of transparency and direct sense. The most outstanding feature Sunilda surprisingly, it is also related to vacuum tubes, it is loose in the high-frequency performance of water there. This loose so that when the choir sing the ups and downs is more attractive, able to front of the space to completely filled, a myriad of audio and video distribution choir let Sunilda spacious sound field advantages into play. Woodwinds the place where the most touching in its Qiyun, while Sunilda let loose a spirit brightened up a bit Smart. Guitar is filled with the sound on the show Sunilda advantage, which is full of water, there is some flexibility in the nylon-string guitars with the full, playing the particles also very clear. In the orchestral performance, Sunilda at the level of the strength of strong resolve, they will be fully revealed by such beauty. It may be noted that each of the piano as if the sound field in the location of the analytical capacity proved Sunilda resolving power in a hierarchical sense and above all have a very high achievement. Of course, the string sound is also very United States, but also with a sleek shiny beauty. Sunilda IF is very full, playing works by this passionate singing, can let me hear the songs, the others singing skills with the use of physical sense. Either copper or electric guitar, through the broadcast Sunilda have very correct ratio to reproduce, on behalf of the Taiwan Phono amplifier to create a sound field, audio-visual shape and so on have very outstanding performance. Dynamic, low frequency, the details are Sunilda great selling point, is more important is fidelity. Even the bass drum full of grainy and the degree of so I am satisfied that. Sunilda feeling in the low frequency does not deliberately highlight the fat swollen, but is a convergence of good, with flexibility and full low-frequency performance. Low-frequency from high school have the same amount of sense of balance. Sunilda regeneration cymbal sound totally dragging its feet, can easily knock cymbals will be quick to reproduce the details of the others out of those waves will not occur quickly glossed over cymbal sound vague, saying that Taiwan Phono amplification temporary state to respond to very high caliber. Sunilda on sexual expression in various sound very good, but I think the most important of all, it let me replay the whole level of the system to new heights. Through Sunilda play vinyl records, I was shocked to the original amplifier and speakers to my surprise, there are so many in the past I have not a good performance to explore the potential! Each album out on me a surprise, once again, so that the enjoyment of listening to music to become excellent. It seems that in return will be Sunilda agent, I will not and then the power turned on CD discs. After this the Lyrics, I recognized the sound quality on the analog system can not be undone, and value. Relentless pursuit of audiophile sound recycling are two-way road: One of them is A Q point (which the Chinese do not Ah Q? ), Completely regardless of the strong vinyl drum up support for fundamentalists, as the world has never appeared this kind of music media, you can live a very happy day. The second way is to seriously save money, get a good enough analogy replay system, careful adjustment, you will find that the expansion of their own machines, the original speakers can be so beautiful so well. 2 Road to the election which one? As Frost said: „The forest, two-way points, the way deserted rare; I selected this road alone, is the situation of differences.“ Audio Valve Sunilda is that you choose „deserted dilute“ the analogy of an excellent companion on the road, it let me make it clear to see the analog world, colorful Vientiane, more cruel to see a number of expressive power located in the sound quality is also still much to be desired Transformation . This sound obvious winner is no turning back, so I can not help heart, „I doubt from the future, the ability to switch to return,“ sigh!